So we jump to the other side of the earth, where we like our influences the most, and we arrive in Panama to release music from dear Avidel. Already with great tunes in our collection it is time for him to make a great impact, to deliver a full EP of four this time. Minimalistic and steady sound, groovy and upfront atmospheres... organic themes and sweet melodies is what describes the most his sound for the release. 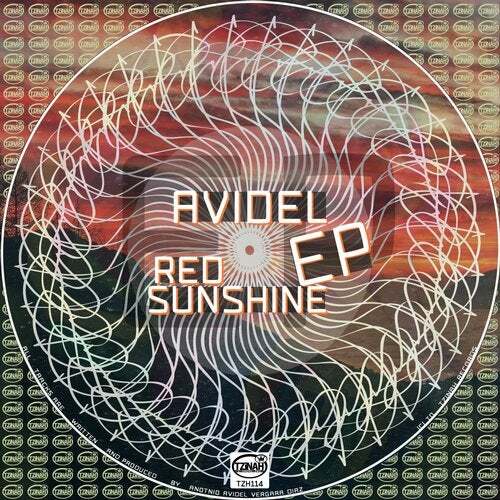 This is Red Sunshine EP by Avidel from Tzinah with Love! EARLY FEEDBACK: Avidel - Red Sunshine EP [TZH114] is supported by Richie Hawtin, Raresh, Danny Tenaglia, Marco Carola, Herodot, Arapu, Lizz, Suolo, Sandro Kuhne, Prichindel, Costin Rp, Alex Rusu, Primarie, Sebastian Eric, Black/Tuesday, Miroloja, Dragutesku, Petar Cvetkovic, Deaf Pillow, Olivian Nour, Hermanez, Vid, Vincetiulian, incolor, Little Hado, Vinyl Speed Adjust and many more! Thank you!